Anna Yaroslavna Collegium (AYC) and the Centre for Geospatial Data of Ukraine launch the second phase of the complete cycle of public policy. 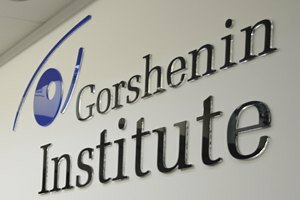 Gorshenin Institute will host a round table conference 21st century: data access instead of data exchange. On 25 April, at 12:00 a round table or a public consultation 21st century: data access instead of data exchange will take place at the Gorshenin Institute. Anna Yaroslavna Collegium analytical center in partnership with the NGO Centre for Geospatial Data of Ukraine begins the second phase of the complete cycle of public policy - consultations with stakeholders, the project Creation of Geospatial Data System." For the first stage - policy agenda – follow the link. Ihor Strilets, dep. chair the Dnieper Basin Water Resource Management. - shortest route to the information by the user - through data access or exchange of data between portals. The opposite approach to the interpretation of the term "use of data", which derive from different techniques of system architecture. Differences between the conditions for obtaining information and its administration in the course of the implementation of data access model, as opposed to data-sharing model. Gorshenin Institute: Kyiv, 18b Mala Zhytomyrska St., (entrance through the arch from Mikhailivsky Lane).